Items are objects other than armors and weapons. 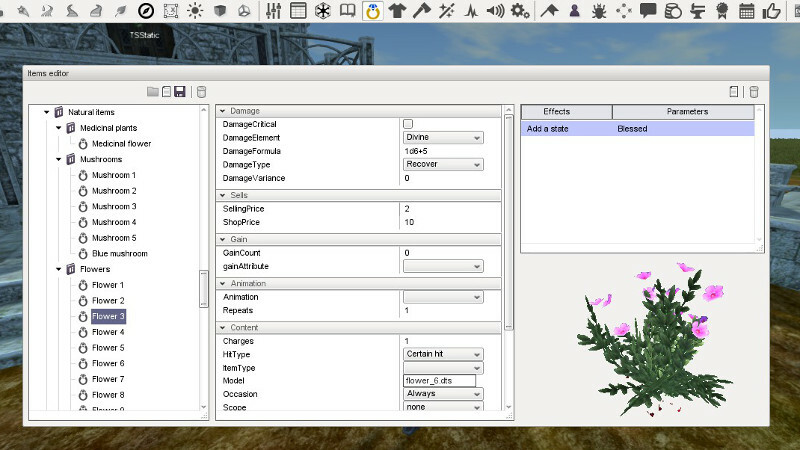 This editor allows you to define icons and effects when a character uses them. Items might also be other useful in-game items like keys, components, quest items, trophy, and so on.